Microsoft unleashes tentacles, while Kairosoft does a mean Pokemon impression. Quite a few games made their way to iOS and Android this week. Among them, NBA 2K13, Zaxxon Escape and the odd yet intriguing Burrito Bison. Of course, only two can win the award, and with that said, here are the games that sparkled most. The Windows phone platform produced a handful of gems, chief among them Tentacles, a weird adventure where players guide a tentacle creature named Lemmy through a dolphin man's body. Finally, the game comes to iOS. 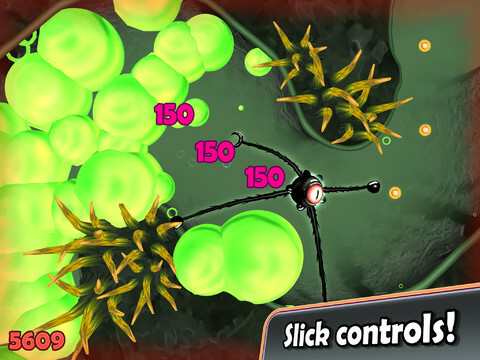 Tentacles: Enter The Dolphin is without question one of the strangest titles on the App Store, a game where players latch onto squishy objects and yank the eyeballs from enemies' heads, which Lemmy devours with a satisfying crunch. Forty levels await you, along with a Dog Eat Dog stage pack that Microsoft sells for an additional $0.99. Game Center support would have been nice, but considering the bizarre protagonist, sweet touch controls and eyeballs aplenty, it checks the right boxes. 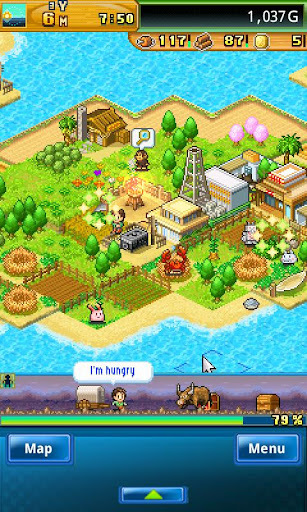 Kairosoft, master of the management sim, is at it again, this time with a Pokemon-style adventure fans are sure to enjoy. In Beastie Bay, players wash up on some tropical island and must track down adorable monsters. Over time, they'll build habitats for these creatures, level them up and then battle against a variety of opponents while collecting treasure along the way. You can expect hours of gameplay, along with the cute 8-bit style graphics that have become the Kairosoft trademark. Now how about a version for iOS? It's OK. We'll wait.